Hello, I have a card I made for The Alley Way Stamps today, it is a CAS card, just the way I like them :). I used the new Admit One set and the Jibber Jabber and ei-ei-o sets to make this one. 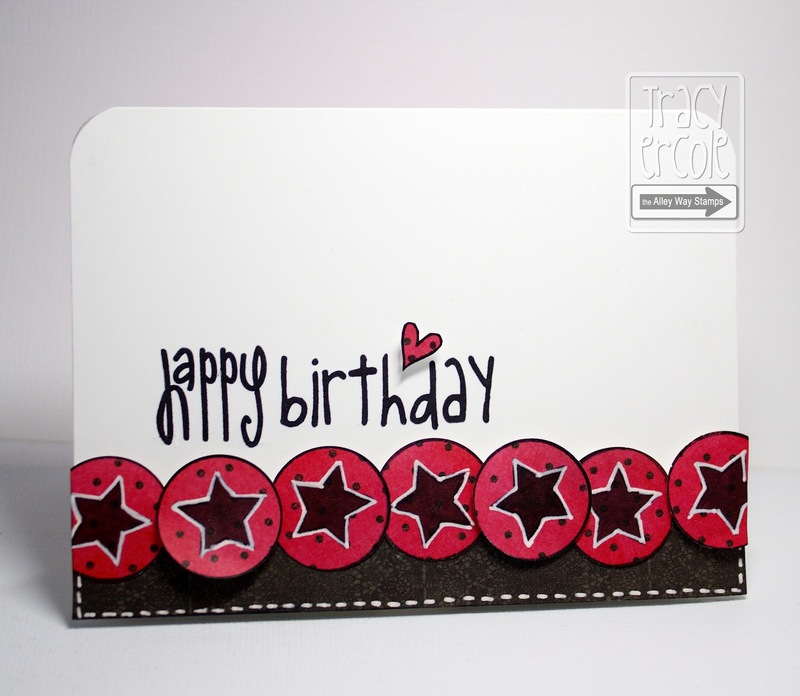 I used the ball from Admit one, stamping it onto patterned paper and using a white gel pen to make the stars stand out more. I combined the other two set to make the sentiment and used a heart from the Jibber Jabber set. The patterned paper I used is from the Fancy Pants 6x6 paper pad - Be You.